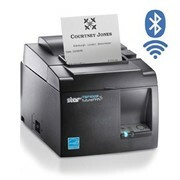 Uber Eats Printer (TSP143IIIBI) Bluetooth interface compatible with Uber Eats Tablets using iOS or Android. 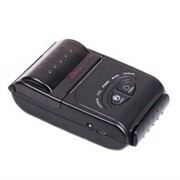 Best prices in Australia or we will price match to ensure you are getting the best deal. The Uber Eats TSP143IIIBI Bluetooth printer features a high print speed of 250 mm / second, a high quality guillotine auto-cutter (with a cutter life 2 million cuts) and thin paper capability, benefiting not only the environment but also the user's operating costs. The TSP143 Series includes ALL the set-up accessories you need including an internal power supply along with a vertical mount kit in the box. Star's unique futurePRNT software has also been included. This features easy-to-use "instant" coupon and voucher software tools. Designed to work with today's market leading operating systems - Android, iOS, Linux, Mac OS & Windows, this printer will have a dramatic impact on the retail environment and enhance Star's leading position in the mPOS as well as traditional POS marketplaces. 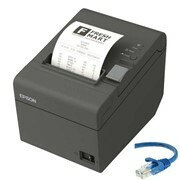 Cash Register Warehouse is a provider of Point of Sale systems, Point of Sale hardware and Point of Sale accessories. 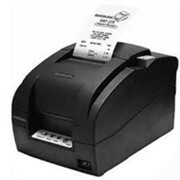 Cash Register Warehouse's vast range of POS solutions includes label printers, weighing scales, POS cash drawers, scanners, touch screens, thermal paper rolls, ink ribbons and other POS equipment. Cash Register Warehouse also supplies hardware for iPad POS systems, configures cash registers and touch screen POS terminals. It provides installation and support services for clients when required, and ships ordered items to all locations in Australia. 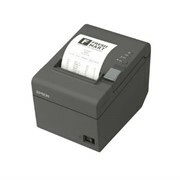 Mention HospitalityHub so Cash Register Warehouse can best assist you! Get a callback from an expert at Cash Register Warehouse to help answer your questions.